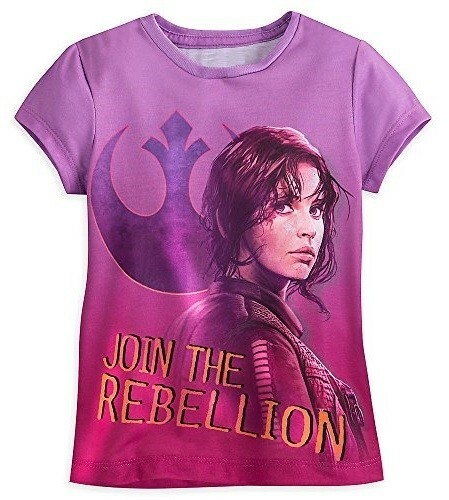 Join the Rebellion in style wearing this allover graded-color tee with full-front sublimated ink graphics of Sergeant Jyn Erso as seen in Rogue One: A Star Wars Story! This Disney Store T-shirt is made of soft jersey knit fabric and features a high quality print. Available in kids sizes extra-small (US size 4) to extra-large (US size 14). 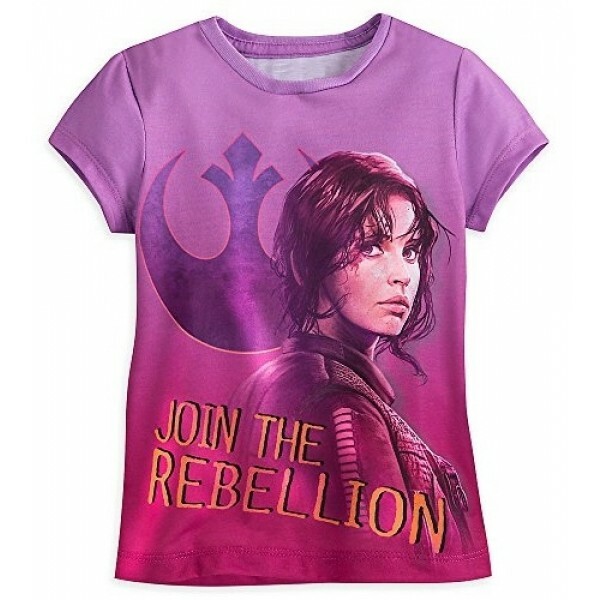 Star Wars fans can find even more products featuring Mighty Women of the Star Wars universe, including Jyn Erso, Padme Amidala, and Sabine Wren, in our Star Wars Collection.